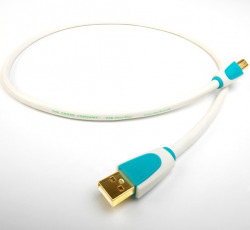 Clear Digital AES/EBU employs a perfectly symmetrical tri-axial geometry by using air tubes to separate and suspend our PTFE taped, Matched Propagation conductors. 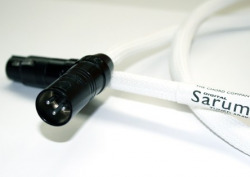 Additional air tubes are arranged outside the core of the cable to place the braided shield in the perfect position. Additional shielding is provided by a carbon impregnated semi-conductive PTFE tape which works with the shield to dissipate noise. 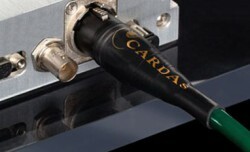 Cardas AES/EBU is the industry standard for digital transmission. 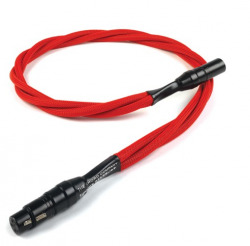 It is a 110 ohm, balanced cable using 20.5 awg, twin-axial construction, with PFA dielectric, air suspension, Golden Section, Constant Q, multi-gauge, Crossfield, enameled Litz conductors, and a urethane jacket. 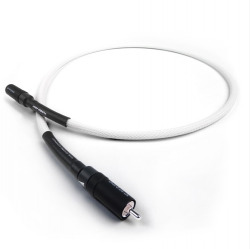 Cardas Lightning 15 is a 15.5 awg coaxial digital transmission cable for RCA, BNC and other digital applications. 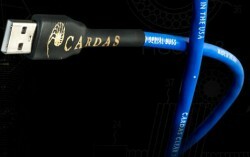 Cardas High Speed Data/Video is a 75 ohm cable for RCA, BNC and other digital information. The design is 20.5 awg, coaxial, Golden Section, Constant Q, multi-gauge, Crossfield, enameled Litz conductor construction, with PFA foam dielectric and urethane jacketing. 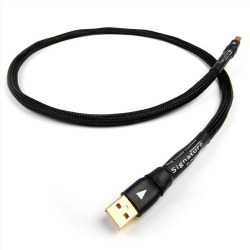 The Cardas HDMI meets the newest 1.4 standards. It is a symmetrical design using ultra pure silver-plated 24 AWG copper conductors. It has nitrogen gas injected dielectric and is shielded by two layers of aluminum foil plus a layer of braided copper shielding. The connectors are gold plated. It has a bandwidth of 340 MHz. “That’s the first time I’ve heard an AES-EBU connection make real musical sense, and there’s so much more detail as well.” Of all the digital connections available, the one that’s been most challenging for us has been the AES-EBU connection. 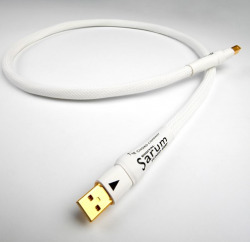 This is going to change the way that people listen to digital music, how can a cable make that much difference!” The Sarum Tuned ARAY Digital is the new and radically revised version of the already highly thought of Sarum Digital. “This is almost like magic, so much more detail and so much coherence. It’s hard to get over just how big the difference is with Tuned ARAY.” The Signature Digital Tuned ARAY replaces our Indigo Plus Digital cable. 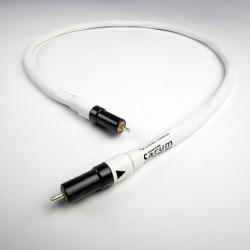 Tuned ARAY technology turns what was already a very highly regarded digital cable into something very special indeed. 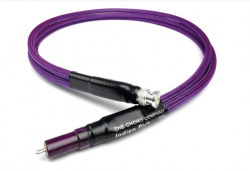 “The search for an AES/EBU that outperforms the coax cable I have been using has just ended.” If one type of interconnect has always challenged the Chord design team, it would be the AES/EBU connection. If you thought Chorus was an eye (and ear) opener, then you really must experience the Anthem range of interconnects. Anthem Reference takes our silver plated, tri-conductor arrangement, featured in Chorus Reference and stretches the boundaries of performance. 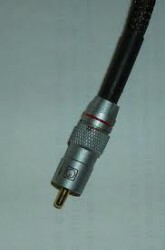 Chord digital co-axial cable fitted with our gold plated VEE3 plug. 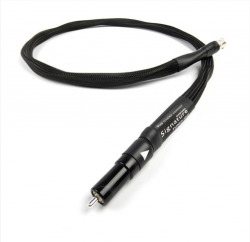 Although the Prodac is the start point of our digital cable range, it's performance belies the price. 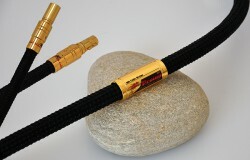 A high quality, single crystal, copper, signal conductor mated with digital cable specific shielding gives you a superb cable. 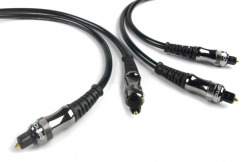 “All optical cables are equal; well not quite. 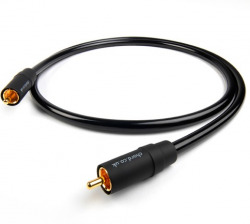 There’s big difference between a cheap optical cable and a Chord Optichord”. Disregard sound quality for a moment and look at the build quality. Are you using your laptop or P.C as a source for your system? 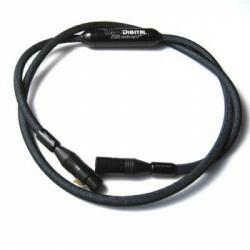 If so The Chord USB SilverPlus is the cable for you. We apply the same approach to digital cable as we do with our interconnects. 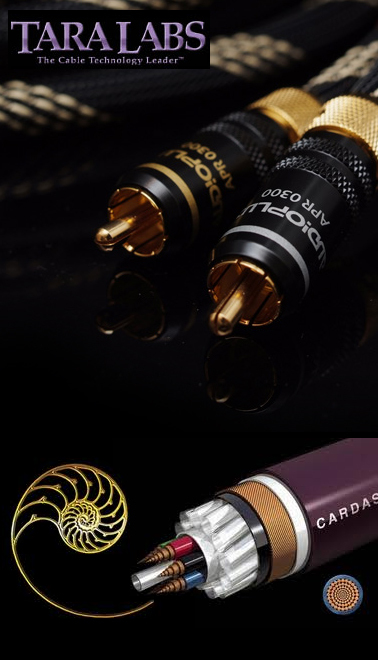 We use high quality conductors and the best shielding to create a cable that transfers the audio signal accurately and efficiently. 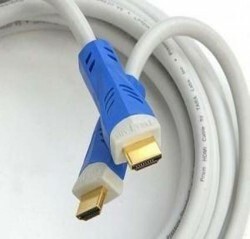 Vendo Goldmund Lineal Digital Cable 1.20mt classico cavo interconnessione RCA-RCA tra meccanica e convertitore della Goldmund di grandissima qualita' e dal costo esorbitante.